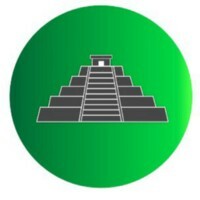 PlanetZiggurat goal is to bring assignments on Ecex.Exchange trading platform. We will fill the gap by creating a market environment, the system for an active trading platform of assignment agreements. This means changing of owners of a multitude of agreements and documents, such as claims, invoices and factoring agreements all together assignments. 1,400,000 ZIG (500 ETH) will be allocated for this bounty campaign. You have to join Ziggurat Token group and channel to receive your stakes! 4: Participants must be active and regular Twitter users, and must be retweeting/sharing Ziggurat Token official tweets and updates. 5: You need to make 7 retweets. And Create at least 5 tweets about Ziggurat Token in a week. with #Ziggurat #ICO #ZigguratICO (maximum 3 RTs a day). If you comment on the post you share, will receive bonus 2 stakes. 3: You need to make 7 repost. And Create at least 5 post about Ziggurat Token in a week. with #Ziggurat #ICO #ZigguratICO (maximum 3 posts a day). Publically use the ‘Recommend’ tab in an official Facebook page. If you comment on the post you share, will receive bonus 2 stakes. 2: Participants must enter a total of 15 Posts/week. Your Reddit post has to contain the URL of our website (https://ico.ecex.exchange/), and has to be posted in a subreddit related to cryptocurrency or blockchain. Your Reddit account has to be at least 30 days old and have at least 10 posts or 20 comment karma. We will disqualify spam. Those posts or comments that have negative karma will be disqualified as well. You can earn extra ZIG if any of your posts or comments get at least 5 upvotes, or by answering questions to the best of your knowledge raised in a comment to your, or others’, posts about us. *Any created content will be judged by quality and subsequently determines how many stakes will be earned.